Built with an NVMe controller and support for the NVM express management interface, the 4TB DC P4500 PCIe 2.5" Internal SSD from Intel is designed for use in a variety of demanding storage environments. 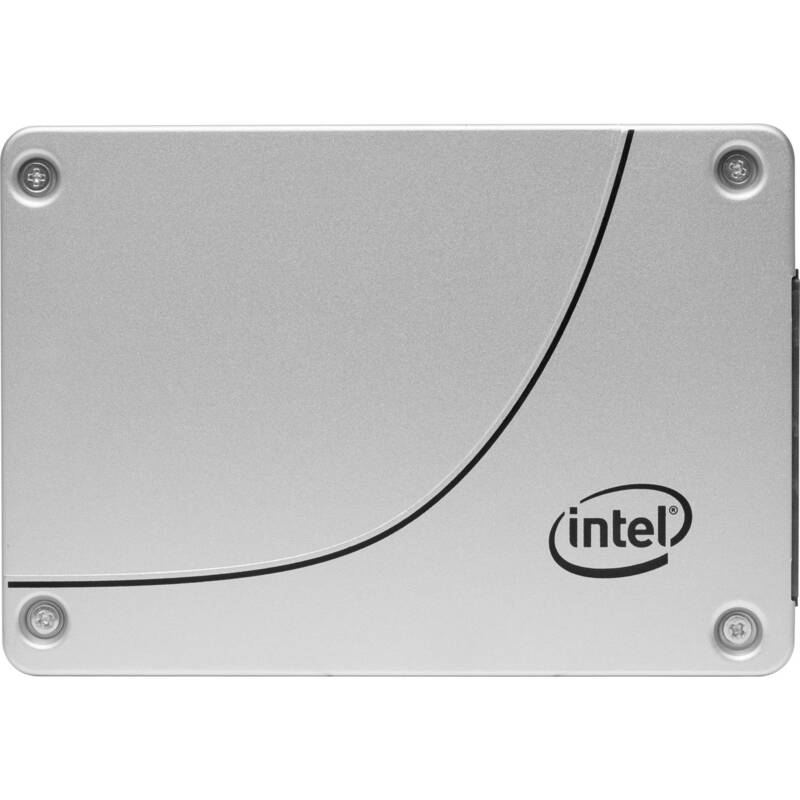 This internal SSD features a PCIe NVMe 3.1 x4 interface capable of supporting maximum data read speeds of up to 3200 MB/s and maximum data write speeds of up to 1800 MB/s making it suitable for a variety of uses including software-defined cloud infrastructures across multi-cloud environments. This drive also includes protection from silent data corruption and power loss imminent (PLI) protection which helps to guard against unplanned power loss. Additional features include enhanced power loss data protection, temperature monitoring and logging, end-to-end data protection, and 256-bit AES hardware encryption to ensure your stored data is safe and secure. The Intel SSD DC P4500 Series significantly increases server agility and utilization, while also accelerating applications, across a wide range of cloud workloads. This cloud-inspired SSD is built using the NVMe controller, optimized for read-intensive workloads, and designed to maximize CPU utilization. With controller support for up to 128 queues, the Intel SSD DC P4500 Series drive helps minimize the risk of idle CPU cores and performs effectively on Intel platforms with Intel Xeon processors. The queue pair-to-CPU core mapping supports high drive count and supports multiple SSDs scaling on Intel platforms. With the Intel SSD DC P4500 Series, data centers can increase users, add more services, and perform more workloads per server, or quickly repartition to adapt to conditions. Enhanced Power Loss Data Protection prepares the SSD for unexpected system power loss by minimizing data in transition in temporary buffers and uses on-board power-loss protection capacitance to provide enough energy for the SSD firmware to move data from the transfer buffer and other temporary buffers to the NAND, thus protecting system and user data. The Intel SSD DC P4500 Series is built for software-defined cloud infrastructures across the multi-cloud environment to enable greater efficiency within existing server footprints. Firmware manageability features help reduce server downtime through improved update processes and expanded monitoring capabilities. The new "ruler" form factor further improves service efficiency with support for programmable LEDs to enable indication of more device states; integrated power cycling to enable remote, drive specific reboot; and, an integrated pull latch for optimal front-end servicing. The Power Loss Imminent (PLI) feature provides protection from unplanned power loss and is obtained through a propriety combination of power management chips, capacitors, firmware algorithms, and a built-in PLI self-test. Intel's PLI feature provides data centers with high confidence of preventing data loss during unplanned power interruptions. 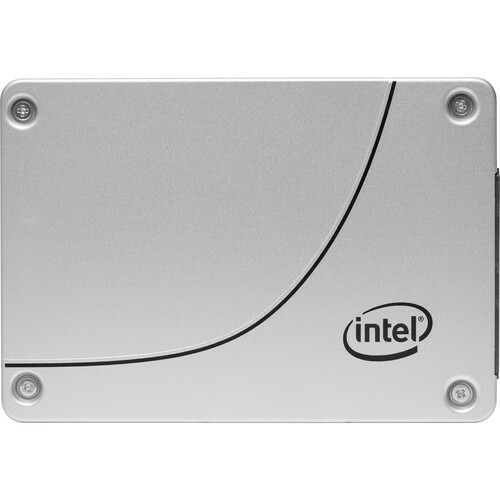 The Intel SSD DC P4500 Series is Intel's 3D NAND SSD for read-intensive workloads in cloud-driven data centers. The mix of performance, capacity, manageability, and reliability make it the ideal solution for software-defined and converged infrastructures. Hardware encryption is data encryption done at the drive level. This drive features 256-bit AES encryption which is used to ensure that the data stored on the drive is secured from unwanted intrusion.